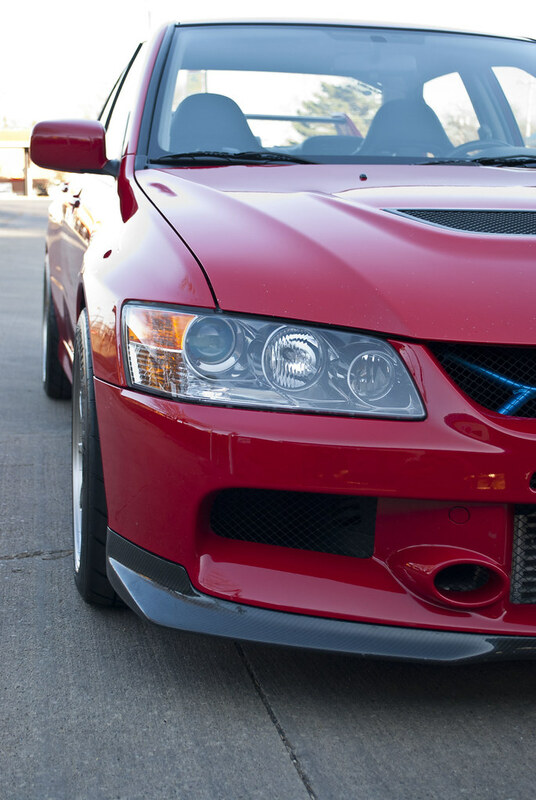 I have the 18x9.5 +35 and you definitely need a front spacer. 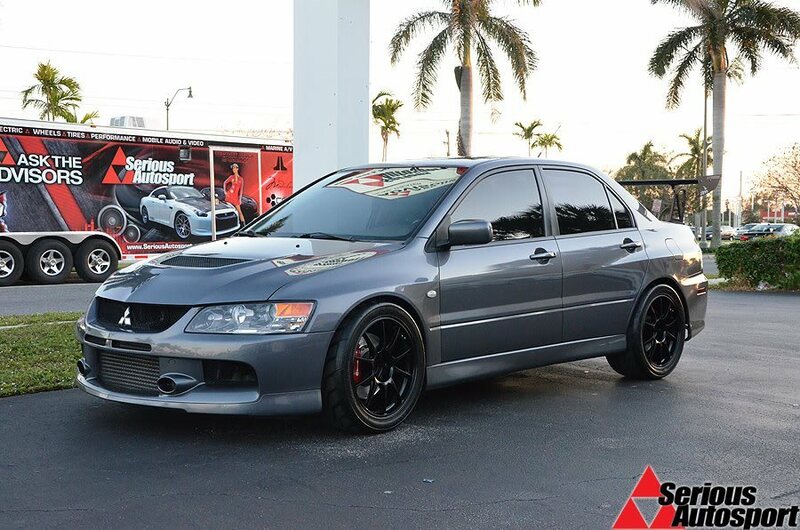 Just get the 17x9.5 +32. 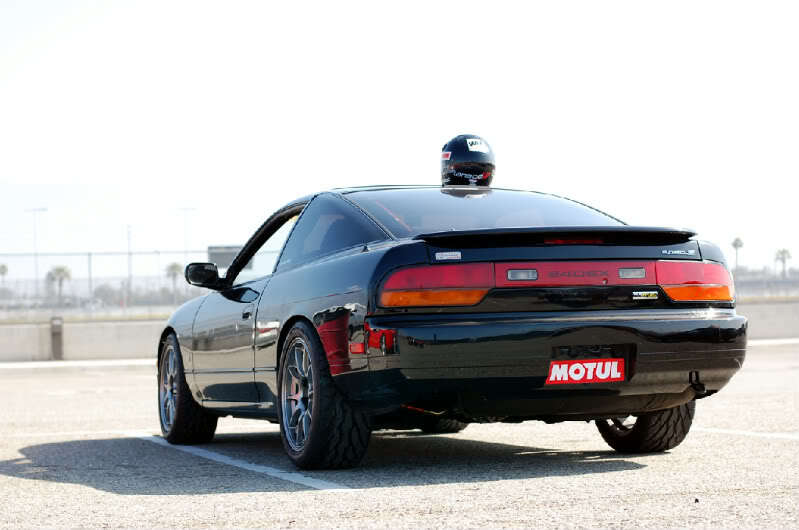 No spacers and just a roll in the rear, pretty much perfect fitment in my mind. OP, did you ever find out conclusively if 17x9 +35 requires a spacer or not? According to RavSpec they do not. According to Emery at STM, the only guy on here running them as far as I know, they do need a front spacer. You're right to be confused. Since I am on stock suspension, I think I am going with the 17x8.5 +32 and pinch some 255/40/17's just a lil bit. That should give me the look I am after. 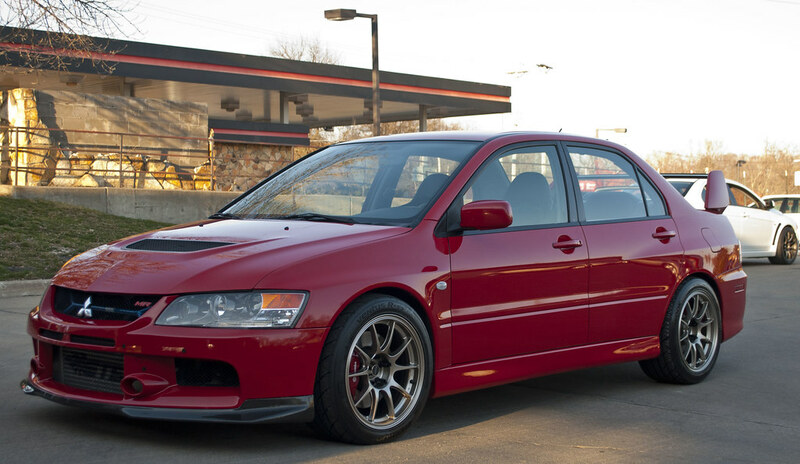 I think it would look so silly to have a ton of offset on a stock height Evo. Mark at RavSpec is a great guy and answers all my questions patiently and nicely. To make the 17x9 +35 work Mark told me that you will need a very small spacer on the front to clear the calipers and that a 3mm spacer should work. Last edited by Russell K; Apr 19, 2012 at 10:16 AM. There's a 17x8.5 +32? Damn they make these in a lot of sizes. I thought it was 17x8 +32. Very nice. Did they come in black? If so where did you get them? Yes, but I'm sure they just painted them. I had mine powder coated. 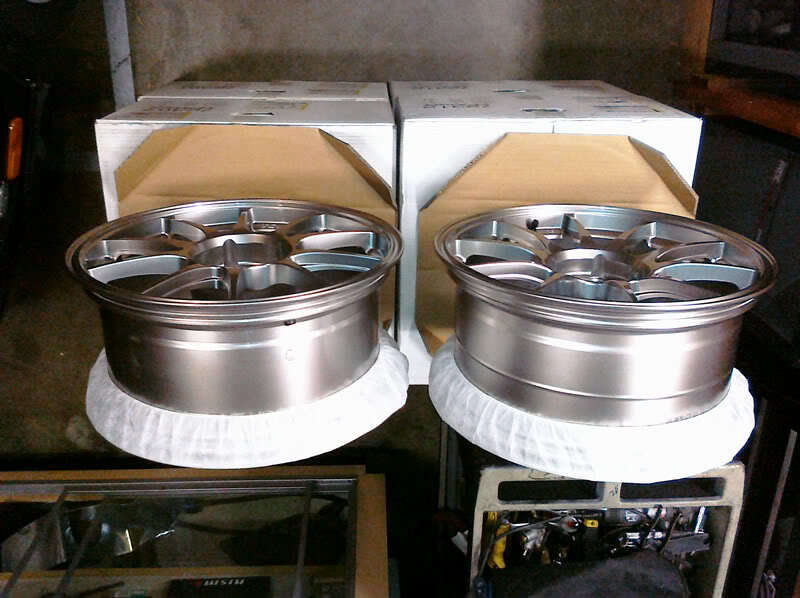 I am for sure going with the 17x8.5 +32 and pinch (slightly) a 255/40/17 on the wheels. Mark from Ravspec answered my questions again and confirmed 17x8.5 +32 will fit fine without any modifications. He is a great guy to deal with, I cannot stress that enough. I like the Matte Black! I wonder if the Black is harder to get? I am sure it is. 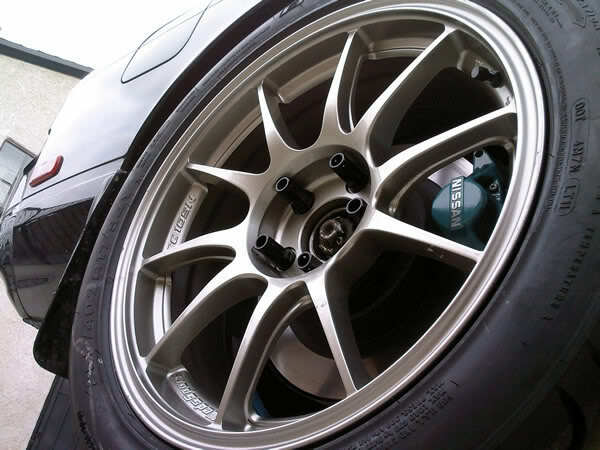 17x8.5 +32 sounds like an awesome choice. 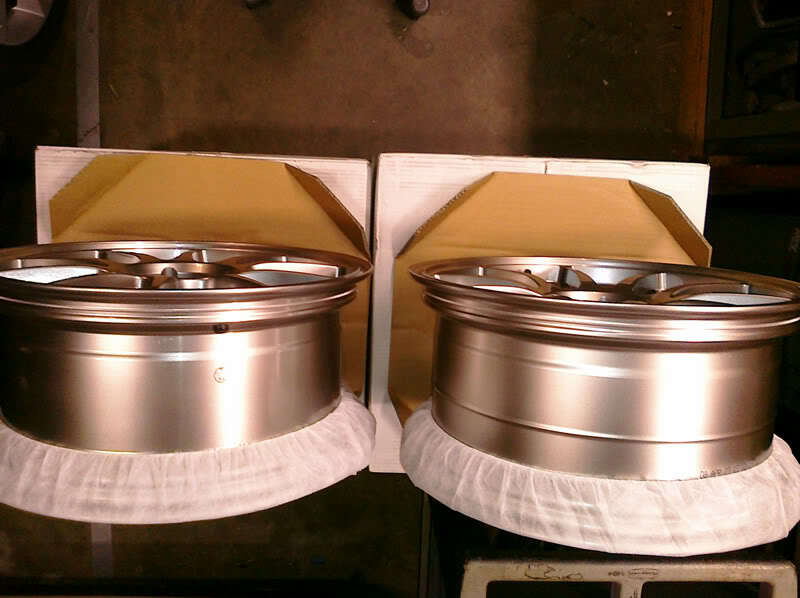 I was worried they wouldn't be concave compared to the 17x9s but then I found these pics. They look plenty concave to me. hey i actually have 2 BRAND new 17x9 +25 tc105n's that i bought from stm that ill sell at a good price so you only have to pay full price for 2.. I have searched and searched and I am familiar with those pics. Those and others I found are what made me decide on that. Thanks for agreeing lol. I have talked to several vendors today and over the past few days on the phone There are very few sets of TC105N's in the country. I would think Matte Black is going to be a very rare thing. I could be wrong though I hope I am. I would prefer the Matte over the regular silver. Russell, did u buy the wheels?